Are The Tyres On Your BMW Road Legal? Tyre maintenance for any car owner is one of those tasks that is easily forgotten about until you get pulled over by the police for allowing them to get to an illegal tread depth. 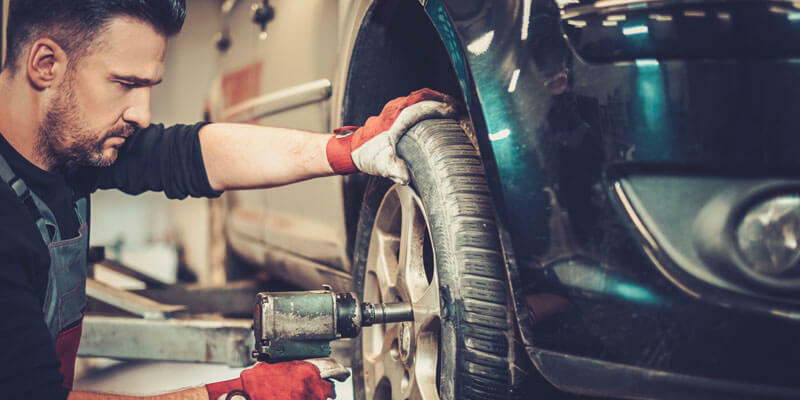 Fortunately, there are a few tasks that you can complete without the use of a qualified mechanic or tyre fitter to make sure that you keep on top of your tyre maintenance. During this weeks article we’re going to look into the different considerations when you’re checking your tyres and how you can avoid gaining points, fines and illegal tyres. Are your BMW tyres road legal? As we stated during the introduction to this article, tyre tread depth and general condition is something that is easily neglected by all road users and car owners. It’s so important to not be ignorant when it comes to your safety on the road, as what you do could have a significant impact on others as well. Many motorists think they know what they can and cant get away with when it comes to the legal limits of tyres on their BMW’s. Some incredibly ignorant motorists may even continue to try and get away with replacing the tyres until the police pull them over. If you gain 12-points on your licence you will receive a driving disqualification and could lose your licence completely if you have had your licence for 3-years or less. Most BMW repairs in Milton Keynes will be able to replace tyres for your vehicle. All you need to do is contact them to make a booking and pre-order the tyres you need. What is the minimum tread depth for a BMW? There isn’t a legal tread depth for BMW models specifically. However, there is a legal limit for all vehicles in general. The current minimum depth for any tyre is 1.6mm. As soon as it gets to this limit, your tyres need to be replaced by an independent garage or dealership. If the tracking on your BMW is out of sync you could notice that the tyres start to wear down unevenly and quicker than normal. The 1.6mm limit is for the entire circumference of the tyre. This means that you should regularly check the center, outer edges and tread. Although there is a minimum legal limit of 1.6mm we always advise our customers to have their tyres replaced before it gets to this limit. A good general rule is to look into replacements when the tread reaches 2mm. It’s all well and good getting your tyres replaced and you might even think you’ve found yourself a bargain if you have it done cheap – but are those new tyres really fit for purpose and suitable for your BMW? It’s incredibly important to make sure that your tyres are the correct size for your car. To be sure, check the tyre size using your vehicle handbook or by checking the sizing information on the side of the existing tyres. 195 R16 H – Depending on the tyre and manufacturer. Moving on from sizing, its also equally as important to check the tyre pressures, especially before you start a long distance journey. Most BMW’s have an on-board computer that you can adjust depending on the load in the car. Most settings will include a Heavy, Eco and Light load setting. Make sure that you adjust the load capacity settings and pressurise the tyres correctly before setting off as this could not only save you money on fuel, but could prevent your tyres from damage too. 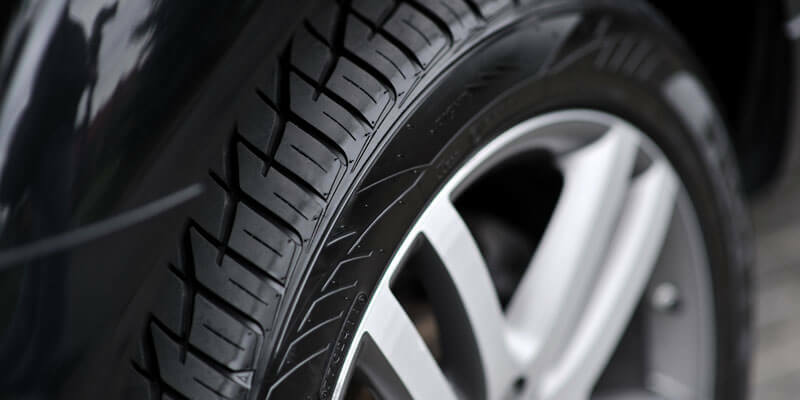 Unless you’re a real car fan or tyre fitting company, you probably didn’t even realise that there are in fact two types of tyres that you can have fitted to your cars. These are Radial and Cross-Ply tyres. Radial tyres have greater flexibility in the sidewalls, whereas Cross-Ply tyres are more rigid. The easiest way to check is a car has a Radial or Cross-Ply tyre fitted is to check the sizing on the side. A Radial tyre will look something like this; 195 R16 H, whereas a Cross-Ply tyre will look more like 195-16. Unfortunately, you cannot have different types of tyres fitted to opposite axles on a car. For example, you cannot have a Radial tyre on one side and a Cross-Ply tyre on the opposite. However, it is possible to have different tyre manufacturers installed in the car as long as the sizing is consistent. For example, you can have two Goodyear tyres combined with a Michelin and Continental.